The mystery of godliness was an astonishing truth given by Paul to Timothy. 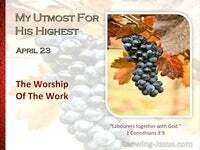 This mystery of righteousness encompasses the redemptive work of Christ Jesus. It was a truth that was hidden from man in the old testament, and it was a truth that was explained through Paul in the new. This is no “mysterious phenomena,” that cannot be understood by you or me! This is no “secret illumination” given only a few men with mystical minds. This was a truth hidden by God, until it was time to proclaim it to the world. The mystery of godliness is the wonderful truth of the glorious gospel of Christ. The mystery of our faith was a truth that emanated from the heart of God. The mystery that demands our reverence, is God with us, the hope of glory. The mystery of godliness is the gospel of Christ, unfolded in the scheme of salvation. It is the mystery of our faith : It is the glorious gospel of Christ : It is the amazing plan of God’s gift of salvation to you and to me. For without question, this is the great mystery of our faith. The 1st principle in this open secret is the manifestation of Christ in the flesh: the Word became flesh, and dwelt among us John1:14. He was clothed in mortal flesh so that He could be identified as one with our race. God became man so that man could return back into fellowship with a holy God. Christ became sin so that sinners could be covered in His perfect righteousness. 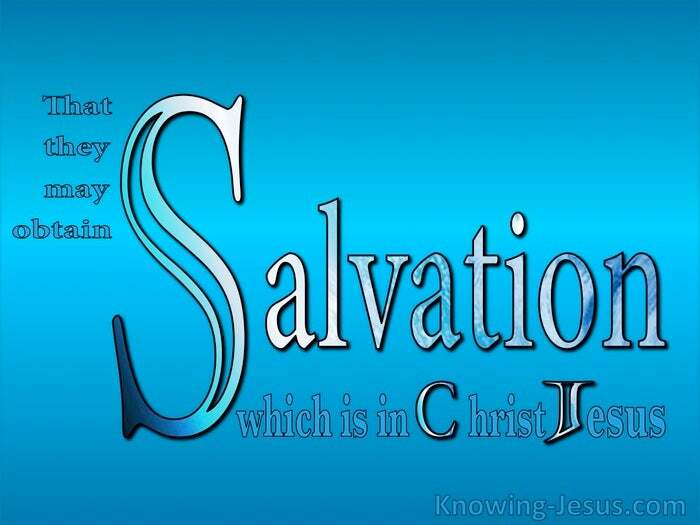 Jesus became the captain of our salvation to demonstrate how to live godly in Him. He was made in the image of man that He might destroy the works of the evil one. 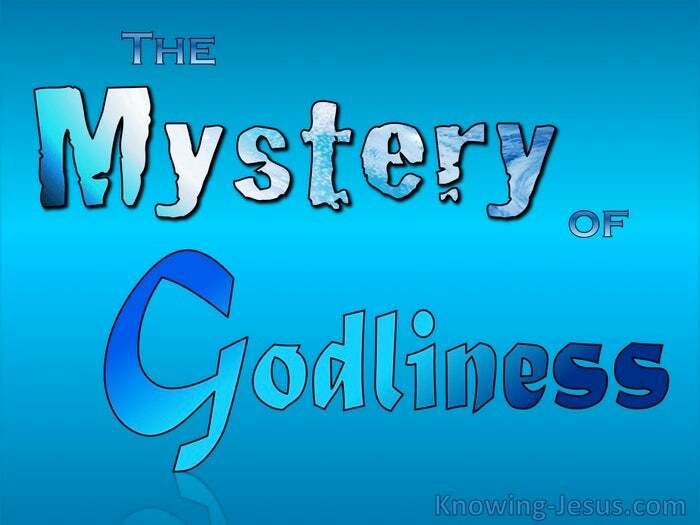 Great is the mystery of godliness. 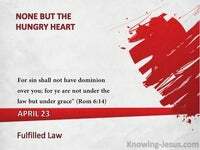 Precious is the gospel of God’s great salvation. The 2nd principle of this mystery of our faith is that Christ was justified in the spirit. Christ Who knew no sin was made sin so we might be made righteousness, in Him. He was made sin and He bore the world’s sin – but Christ was the innocent sacrifice.. and so He was justified: vindicated – cleared of all its guilt, consequences and wages.. for the wages of sin is death but Christ being raised from the dead, dies no more. Christ lived a perfect human life – living, walking and praying in spirit and truth. He fulfilled God’s righteous requirements and so He was vindicated by the Spirit Great is the mystery of godliness. Precious is the incarnate Word of God and His great salvation. The 3rd principle of God’s revealed mystery is that Christ was seen of angels. It was angels that heralded His birth and angels that announced His resurrection. It was angels that ministered in temptations hour and also in Gethsemane’s pain. It was angels that sang at the womb of creation and they who saw His assention.. and angels around the throne worship before Him crying: Holy Holy Holy is the Lord God Almighty. "Worthy is the Lamb that hath been slain to receive power, and riches, and wisdom, and might, and honour, and glory, and blessing” Rev.5:11. Great is the mystery of godliness. Wonderful is His name – the anointed of God, our precious Saviour. The 4th principle of this wonderful truth is that Christ preached unto the Gentiles. Though many rejected the king of the Jews, nonetheless many gentiles believed.. and out of the nations was called a people for Christ’s name to bear much fruit. His blood has bought men from every tribe, language, people and nation, for you are a chosen people, a royal priesthood, a holy nation, God’s special possession, that you may declare the praises of Him who called you out of darkness into His wonderful light. 1Peter 2:9. 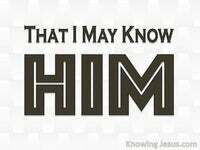 Great is the mystery of godliness Praise the Lord – for He wills that all are saved and come to faith in Jesus. The 5th principle in this great assurance is that Christ is believed on in the world.. for he that believeth on the Son hath eternal life; but he that obeys not the Son shall not see life but the wrath of God abides on him John 3:36. 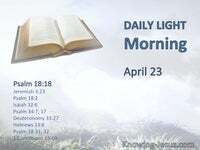 How gracious is God – for the people that walked in darkness were given the light, and those born dead in their sins can become sons of God, by grace through faith. Great is the mystery of godliness for the earth shall be filled with His glory as the waters cover the sea. The 6th principle of this undeniable certainty is that Christ was received into glory. Christ finished the Father’s work and claimed His position on His Father’s throne. His glorious resurrection was done and His position in glory awaited Him. Both acts verified His authenticity – both affirmed His eternal kingship. 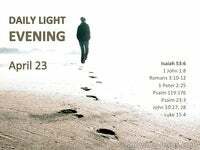 The mystery of godliness was an astonishing truth explained by Paul to Timothy. The mystery of godliness is the wonderful truth of the glorious gospel of Christ. It is the mystery of our faith. It is the glorious of gospel of Christ. It is the amazing plan of God’s gift of salvation to you and to me.